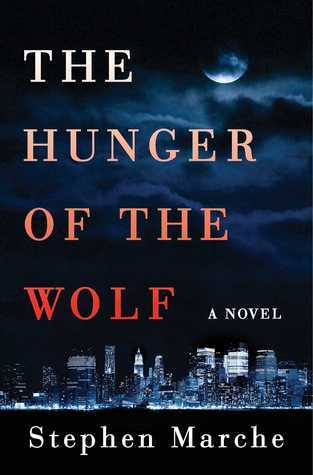 A breakout book from Stephen Marche, The Hunger of the Wolf is a novel about the way we live now: a sweeping, genre-busting tale of money, morality, and the American Dream and the men and monsters who profit in its pursuit set in New York, London, and the Canadian wilderness. Hunters found his body naked in the snow. So begins this breakout book from Stephen Marche, the provocative Esquire columnist and regular contributor to The Atlantic, whose last work of fiction was described by the New York Times Book Review as “maybe the most exciting mash-up of literary genres since David Mitchell’s Cloud Atlas. The body in the snow is that of Ben Wylie, the heir to America’s second-wealthiest business dynasty, and it is found in a remote patch of northern Canada. Far away, in post-crash New York, Jamie Cabot, the son of the Wylie family’s housekeepers, must figure out how and why Ben died. He knows the answer lies in the tortured history of the Wylie family, who over three generations built up their massive holdings into several billion dollars worth of real estate, oil, and information systems despite a terrible family secret they must keep from the world. The threads of the Wylie men’s destinies, both financial and supernatural, lead twistingly but inevitably to the naked body in the snow and a final, chilling revelation. I’m not really sure what to say about this book. The origins of the Wylie family business and how they went from nothing to multi-billions was the most interesting part of the novel for me. The rest of the book was filled with loathsome characters whose sole purpose in life seemed to be about getting more – more money, more house, a more attractive and wealthier partner, more attention – they nearly made me bail before the halfway point. Most of the wealthy characters spent their time blaming money for ruining their lives. It quickly grew tiresome. George Wylie was the only person with admirable traits – he was smart enough to know he was incapable of running the family business, subsequently stepping aside, and he genuinely loved the person he was with, having no ulterior motives. As for the terrible family secret (I won’t give it away), maybe it was just over my head, but I didn’t see its purpose or relationship to the story. Yes, it was very strange and fascinating, but inconsequential and something that just – happened. This novel was well-written and if the book had focused more on business and the mystery of Ben Wylie’s death, I might have connected with it more, but the characters made it a difficult read for me. The Hunger of the Wolf is scheduled for publication February 3, 2015. This review is based on a digital ARC from the publisher through NetGalley.